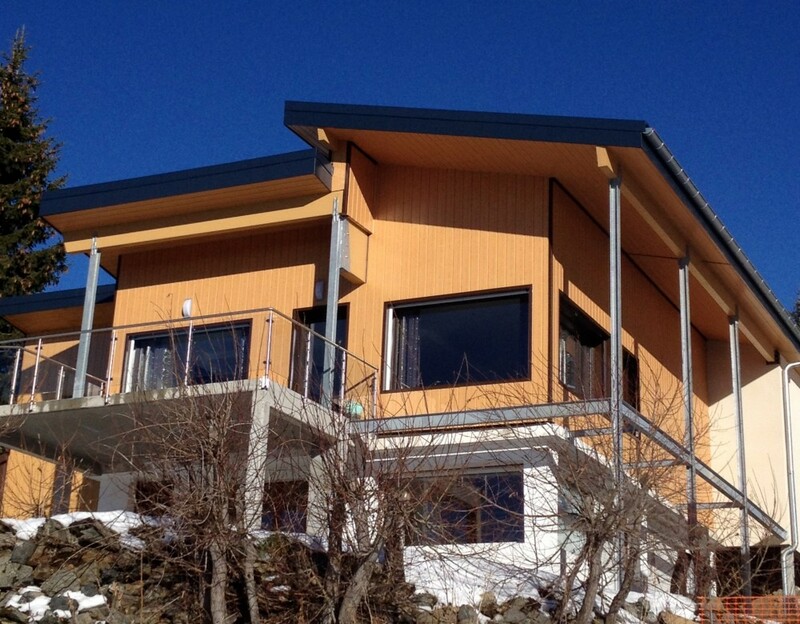 This 3 stars chalet duplex 190m2 can accommodate 4 families with children. Enjoy a memorable winter or summer in this house thanks to its convenient location at the foot of the slopes, large bay windows opening onto a panoramic view, its functionality and its equipment. Have nice evenings all together in the 55m2 living room 55. The 18 m2 terrace promises sunny aperitifs in winter. You can barbecue under the stars in summer in the flat garden of 150 m2 contemplating the lights of Grenoble in the valley or have tremendous parts of frenzied football in the games room on the ground floor. Well! a carefree stay with full equipment: WIFI internet access, dishwasher, washing machine, radio, refrigerator, freezer, stove, games room with table football, 4 double bedrooms, 1 room w/7 single beds, its kitchen open to the living, his ski locker, his heated dressing room with shoe rack. In the heart of Belledonne range in the Alps, facing the Vercors mountains and the Grésivaudan valley. Forget your car and parking problems: we have a covered garage with direct access to the chalet, car park outside the chalet to your other cars. You will do everything by foot since this property is ideally located in the resort: 100 meters from the free shuttle stop, 200 meters from the slopes, 300 meters from the resort center. No more hesitation! Book it now.